From 1955 to 1957 HMCS Labrador was the Canadian government’s most visible presence in the Arctic. Commissioned at a time when the region was at the forefront of continental defence, the naval icebreaker worked with American partners to establish defence facilities, survey shipping routes, and show the flag in an area of growing strategic importance. A critical and often unsung element in Labrador’s success was the embarked helicopters. By spotting leads, moving people and cargo, and surveying routes, these aircraft enhanced the ship’s effectiveness, range, and impact. This volume is a collection of those flight logs. It provides a documentary snapshot of early icebreaking and helicopter operations in the Far North and provides researchers with new tools to study Arctic defence and navigation at a critical juncture of the early Cold War. Don MacNeil is the son of the late Lt (P) John A. MacNeil, CD helicopter detachment officer in charge onboard the RCN’s Arctic patrol ship HMCS Labrador for her 1956 Arctic voyage. Don also served in the RCN from 1963 to 1966 onboard HMCS Columbia, Yukon and Ottawa and later worked for Pratt & Whitney Canada as a Stationary Engineer. Moving to Ontario in 1972, Don joined Bell Canada where he worked as an Associate Director of Marketing involved with the creation of new high speed data, email and internet services. Taking early retirement from Bell in 2004, he was hired by Cognos, where he was a Senior Product Marketing manager responsible for performance management software products and from where he finally retired in 2007. He has had a life-long interest in aviation and is currently a volunteer with the Canada Aviation & Space Museum. 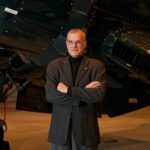 He is also an active member of the Canadian Aviation Historical Society’s (CAHS) Ottawa Chapter and past member of the CAHS National executive where he served as National Membership Secretary. Don also spent four years helping Vintage Wings of Canada research and document the history of the aircraft in their collection, train tour guides and develop educational packages for high school students visiting the Vintage Wings aircraft collection.